Philip McNeill was born in Ireland and grew up in Canada. His father was bi-vocational, working in the workforce and pastoring congregations at the same time. As a young man Philip worked in several businesses and eventually started his own small enterprise. With a desire for business and to learn, he attended university in Canada studying business administration but then felt a call to ministry attending Elim Bible Institute in Lima, New York and graduating in 1987. After graduation, Phil founded a traveling ministry. It had anywhere from 6 to 12 people on the team ministering in music and word. It traveled for five years mostly here in the states but also overseas. It ministered in approximately 225 churches per year. His group’s emphasis was on ministering God’s grace to people through the comfort and gifts of the Holy Spirit. In the fall of 1993, at the invitation of Pastor Michael Cavanaugh of Elim Gospel Church, Phil assumed the pastorate of a Saturday night church plant in Henrietta, NY. This church plant merged with another small group in May 1994, starting a whole new church with the name Word of Life Christian Fellowship. Phil served as an area rep for Elim Fellowship from 2000 till 2006 and was appointed to the Council of Elders in December 2004. Phil graduated in 2009 from Northeastern Seminary at Roberts Wesleyan College with a Master of Divinity. From 2010-2014, he served as an Elim Fellowship Regional Rep. In 2015, Phil was appointed as General Secretary of Elim Fellowship. Many times during the year Phil is invited out to minister in prophetic presbytry, preaching, and almost annually goes to different nations to minister with missionaries from Word of Life. Phil and Sheryl have been married since 1991 and have four daughters (ranging in age from high school to post college) who genuinely love the Lord and serve in the local church. 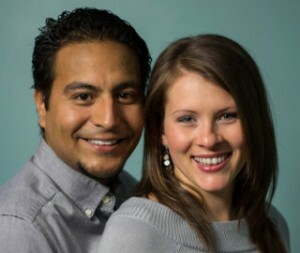 The Corteses have lived most of their lives in southern Mexico growing up in ministry and serving alongside their parents. Jonah has a heart for God’s people and a passion for leading worship and pastoring the youth. He holds a Marketing degree from the Universidad Interamericana para el Desarrollo and a 3 year Bible Diploma from Elim Bible Institute. After graduating Elim Bible Institute in 2005, Bet returned to Mexico to serve as a youth pastor and worship leader for four years, in which time Jonah and Bet met and were married. Bet holds a 3 year degree from Elim Bible Institute and a degree in Organizational Management from Roberts Wesleyan College. Presently, she loves leading worship and serving alongside her husband at Word of Life. Jonah and Bet are also active in the Rochester business community through their video production company High View Business Films. They love living life with their three young children who keep them busy! 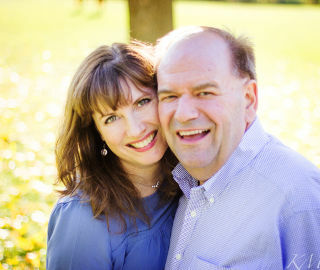 Jim and Elizabeth Blake have been attending Word of Life since 1999. Jim came to Word of Life as a new Christian, hungry for the things of God. Elizabeth accepted Jesus about 1 1/2 years later, after at a service here at Word of Life. They appreciate being involved in the church, growing in the Word, worshiping our Lord and the many relationships that have been built here, and teaching Sunday school. The Blakes have three children, Sarah (Mike), Lindsey (Lou), and James (Alicia), and four grandchildren. Jim works as a truck driver for Cardinal Logistics at Kodak Park in Rochester, and Elizabeth is a medical secretary for the University of Rochester. They enjoy camping in their traveler trailer with friends in the spring, summer and fall and have logged quite a few miles over the last several years. They also enjoy watching their grandchildren grow and taking walks together. 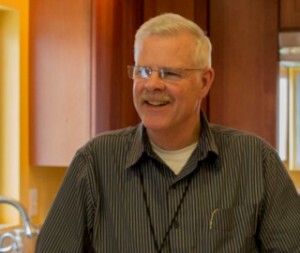 Jim has been an Elder at Word of Life since March of 2009. Albert Yu is from Silver Spring, MD. He grew up attending the Chinese Christian Church of Maryland where his father pastored. He served as Sunday school teacher, youth leader, and Chinese-to-English language translator while in high school, college, and graduate school. He then married his wife, Sarah, and moved to Philadelphia, PA for medical school. Further medical training and military assignments then took him to Cooperstown, NY and Biloxi, MS. During this time he saw God’s leading and faithful provision for himself and his family while serving his country as a Flight Surgeon during a time of war. 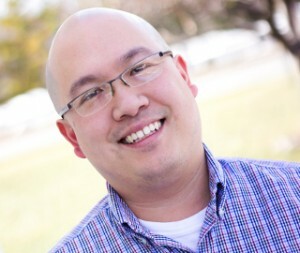 Once his service to his country was complete, Albert came to Rochester, NY for the anesthesia residency program at the University of Rochester Medical Center. He and his family attended Word of Life during this time and led the young adult life group. After completing this training, he accepted a job for the VA medical center in Baltimore, MD. While there, he was able to enjoy serving again as a translator at his father’s church. When a job changed moved Albert, Sarah, and their four boys back to Rochester, they returned to WOL and began leading the “Married with Young Children” Life Group. In January 2016, Albert was brought into eldership. Beside his work at church and his career, Albert enjoys cooking and sleeping whenever those boys will let him!